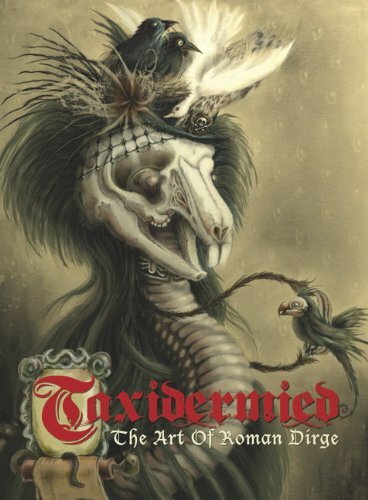 If you like dark, macabre and sometimes offbeat art, this is the book for you. It's a 112-page hardcover filled with them. There are illustrations of phantom mermaid nurses, a couple of portraits of people with skeleton arms or some strange arms, white cats eating root-like red meat, and other eerie subjects. There are some dark cartoon character designs near the end which look pretty simple and nice. You can check out more work of Roman Dirge at his website, Spookyland.